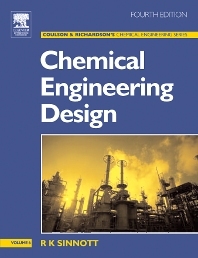 Chemical Engineering Design is one of the best-known and widely adopted texts available for students of chemical engineering. It deals with the application of chemical engineering principles to the design of chemical processes and equipment. Revised throughout, the fourth edition covers the latest aspects of process design, operations, safety, loss prevention and equipment selection, among others. Comprehensive and detailed, the book is supported by problems and selected solutions. In addition the book is widely used by professionals as a day-to-day reference. Chemical Engineering students (undergraduate and some postgrad) and lecturers/tutors; professionals in industry – chemical process, pharmaceutical, petrochemical sectors.